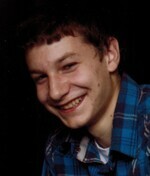 Austin was born in Rutherford County on January 6, 1997 and was member of Spindale Church of the Brethren. Surviving are his father Larry Steven Bell of Forest City and his mother Leigh Ann Parker Lynch of Rutherfordton, a sister Mikayla Keitt (Marqueece) Simpsonville, SC; sister Victoria Lynch of Rutherfordton; step father Leshaun Lynch of Bills Creek; grandparents Russell and Peggy Parker of Rutherfordton, Susan Bell of Rutherfordton and Larry Bell of Marion; step grandmother Bernice Logan of Bills Creek; aunt Jennifer Brown (Michael) of Simpsonville, SC, aunt Lori Bradley of Rutherfordton, niece Aubrey Keitt of Simpsonville, SC, special cousin McKinley Jennings of Rutherfordton as well as a number of other relatives and friends. Austin was preceded in death by his step grandfather A.C. Logan and a special friend Michael Browning. Funeral services will be held 3 P.M. Saturday, November 10, 2018 at Spindale Church of the Brethren 128 Sterling Street, Spindale, NC 28160 with Rev. Russell Payne officiating. The family will receive friends one hour prior to the service. Interment will be in the Pleasant Hill Baptist Church Cemetery following the funeral.